In his new role at Bricz, Jim will drive the enhancement and expansion of service offerings for transportation planning/management and inventory optimization. Bricz is proud to announce and welcome Jim May as the company's Vice President of Services. Jim brings with him more than 30 years of supply chain experience that spans industry roles, consulting leadership, software implementations, and sales. Most recently Jim was VP of Operations for Jagged Peak, an eCommerce 3PL fulfillment firm. Prior to that, Jim held a Senior Services Director role at Manhattan Associates focusing on WMS and Inventory Optimization technologies at some of the world’s most recognizable brands. 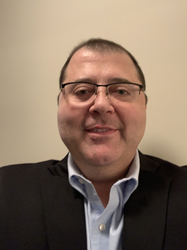 In addition, Jim has led a supply chain practice as a Partner at Arthur Andersen Business Consulting, and has held various positions at i2 Technologies - Now JDA - focusing on implementation and presales roles for their advanced planning and scheduling solutions. “I’m thrilled for the opportunity to join the Bricz team and utilize my years of experience and client successes to help fuel the company's growth and market initiatives”, said Jim May. Bricz is excited for the growth that will come with adding Jim's extensive experience to the team. In his new role at Bricz, Jim will drive the enhancement and expansion of service offerings for transportation planning/management and inventory optimization. Jim will also focus on providing value added, ROI driven solutions for our clients with an emphasis on supply chain strategy and process improvement in the realm of warehouse management and logistics. While discussing Bricz growth and expansion plans, Ram Gopalakrishnan, CEO, said “I'm ecstatic to add Jim May to our team. I'm confident that Jim's experience and leadership will help drive our services strategy moving forward, and will really elevate our ability to offer world-class service to our clients."